I have fond memories of boxed tank games from my childhood. I would pore through the rule books and study the counters. 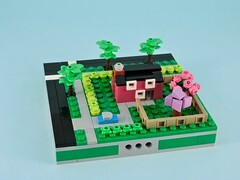 These days I’m always interested in the convergence between Lego and gaming. 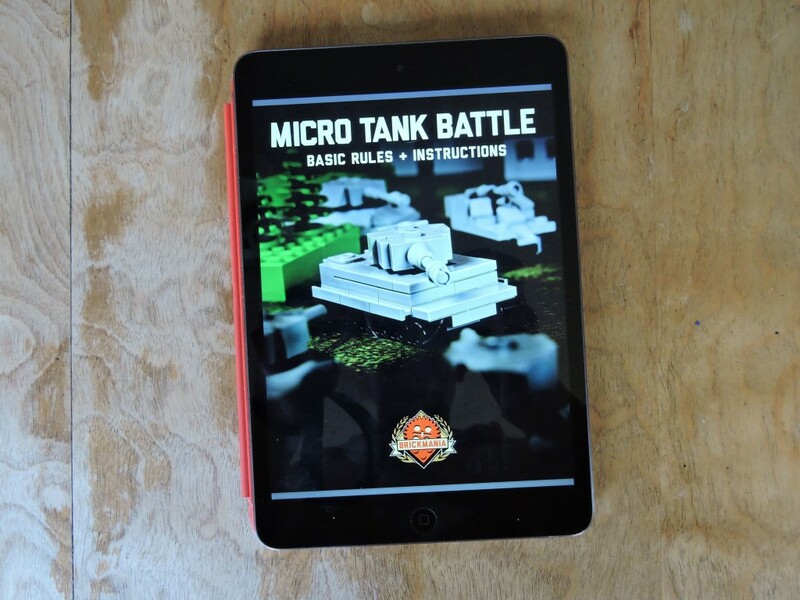 The folks over at Brickmania just released their own WWII tank game using brick built micro tanks, so I decided that I had to check it out. 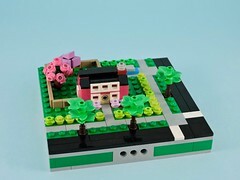 Taking a look at Brickmania’s website, I found that they were offering a PDF version of the rules. I paid and downloaded. 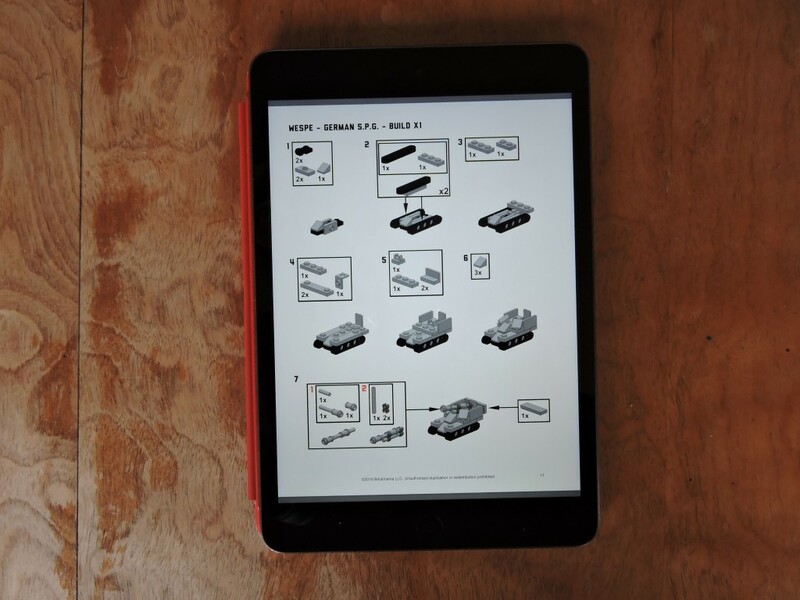 It took a bit of work to get the PDF in place on my tablet, but then I was ready to dig in. 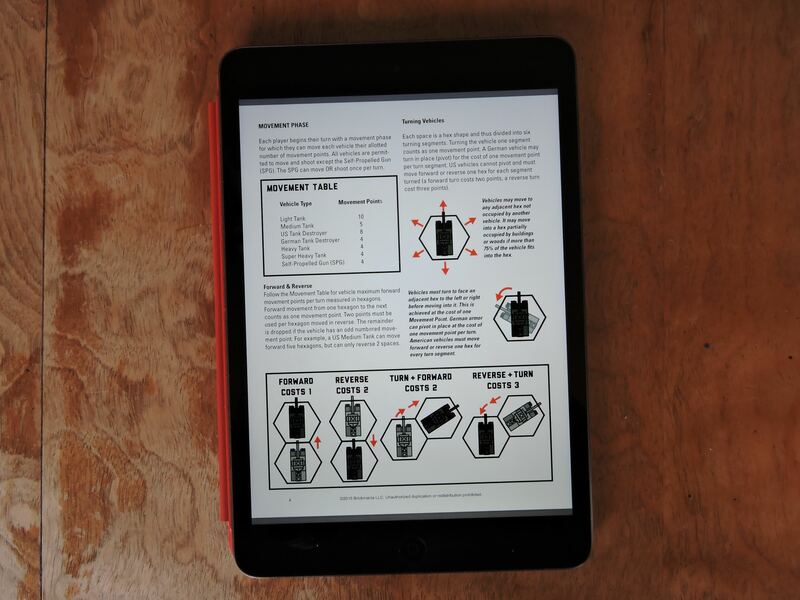 The book opens right up to a page of charts, starting with a quick reference guide. I found it a bit disorienting, but in retrospect it seems like a fine idea, placing all the most important game play information at the beginning where it would be east to find. The game itself is simple and chart driven. The tanks themselves don’t have stats, so much as entries on the charts and tables that determine necessary dice rolls. This makes me worry a bit about expansion, since new units would necessitate increasingly complex tables. Otherwise, the game seems to have many of the classic tank game tropes, with armor being tougher in the front and weaker in the back and such. Play should be clean and fast (once the tables are memorized) and it can be played on a hex map or a clear table. The biggest issue I have with this game is value. I paid $30 for the PDF (no discount over the print edition other than lack of shipping). The PDF is a total of 20 pages, really no more than a pamphlet. Instructions for building the units take up 12 of those pages. Since many of the tanks require 3rd party parts (sold by Brickmania, of course), the model designs aren’t super valuable. I’d have paid $5 or $10 for a well-built PDF of tank designs (and I have happily paid that much for mecha designs before). Those 12 pages of instructions could be worth about $5, but that leaves me paying $25 for 8 pages of rules for a fairly simple tactical miniatures game. I won’t say it is a bad game, but the price is much too high for my taste. I’ll do what I can to get my value out of it, but right now I feel over-charged. At least I didn’t pay over $400 for the deluxe edition that comes with a hex mat and all the parts (784) for the tanks.